She is so adorable… yet aggressive! She slaps my face so boldly with a smile on her face. My son didn’t do this when he was at that age. I give her a time-out but still continues. Slaps my face when she is cranky, slaps my face when she is happy…what’s wrong with her!? Time-out doesn’t work. Any ideas? 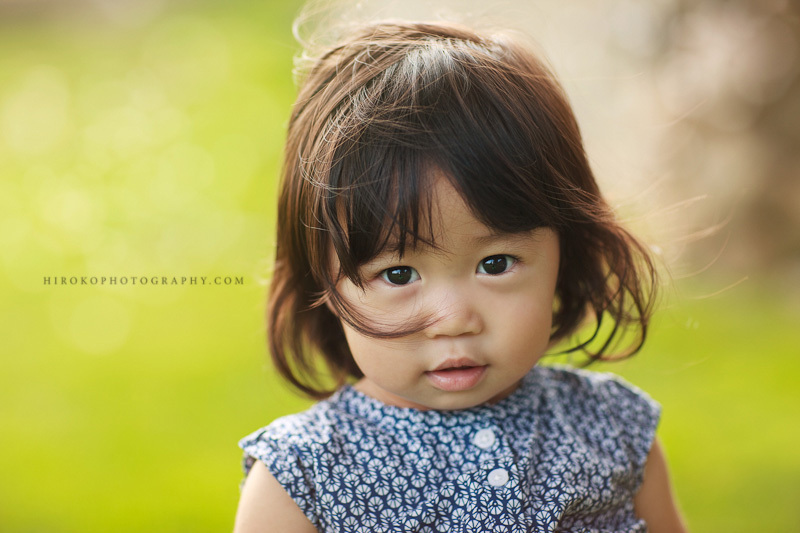 HIROKO PHOTOGRAPHY UPDATE：I am so appreciated that I am fully booked in September. If you are interested in family photos for holiday cards, Japanese traditional Shichi-go-san, wedding photos, Newborn photos after mid October, please shoot me an email at Hiroko@hirokophotography.com Thank you! Sounds about right. My 2.5 year old pinches my cheeks so hard and then kisses me and yells “pinch kiss!” She is also heavy handed with her sister and more wild. Personalities I guess. I know she will grow up to me a good girl because I think she takes after me!!!! Hang in there. pinch kiss!!!! so funny and harsh! wow!!!! ok I will hang in there.